In the world of architecture, there’s nothing quite as appealing as the warmth of wood. But in the interior spaces of a home, a wealth of wood, though striking, can leave a space feeling dark and even claustrophobic without smart window selection and the addition of natural light. Because even light-colored wood is less reflective than painted finishes, bringing in light is one of the most considerations for a window replacement project. Fortunately, to create a bright, inviting home, the solution is clear — quite literally. But while the process of picking the right windows may seem simple, there are countless style, size and material options to consider before making a decision. 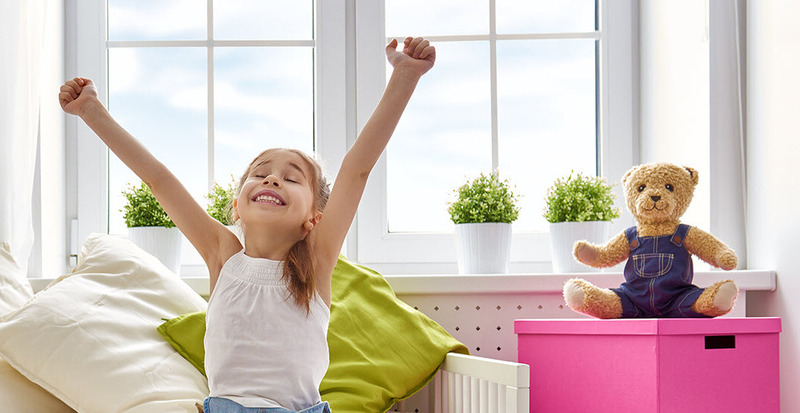 Today’s replacement windows are responsible for providing light, insulation and proper ventilation — all while serving as a central accent feature in your home. Making a meaningful style statement with your windows depends on selecting the right one for each space. Knowing your options and the window’s purpose will help you weigh the benefits and drawbacks of each style and zero in on the best choice. Single and double-hung windows feature one or two sashes, respectively, that move up or down. They are often more affordable than their casement counterparts, and they also offer flexible installation configurations. The offer ease of installation and operation in almost every room in the house. Casement windows include a hand crank that opens the glass from a side hinge. The window opening can be angled for optimal ventilation and easy care as well. A closed casement window is more airtight than the single- or double-hung variety. Avoid placing casement or awning windows above a porch or deck where they can interfere with a walkway when opened. Awning windows are hinged at the top, and open outward and up. They provide excellent ventilation, with partial or full opening capabilities, to customize airflow. Because of their construction, they keep out moisture and, like casement windows, have an airtight seal, but size options are limited. Gliding windows slide from side to side. 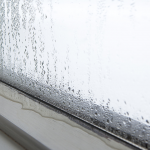 They are easy to clean and provide good ventilation, but they are less resistant to the elements than hinged windows. Picture windows are fixed in place and cannot be opened for ventilation. They come in a countless array of shapes and sizes that can be combined to fit any space. Clerestory or Transom windows are a row of windows placed near the ceiling. This style is ideal for a room where both extra light and privacy are needed. Rectangular transom windows serve the same purpose as clerestory windows but are typically placed above a door. Bay and bow windows are a combination of three or more windows that extend beyond the main wall. Because of their placement, they are most often used for framing picture-perfect views in a great room. Their size can equate to large amounts of heat loss, however, so they should be used judiciously. For availability options from Andersen by Series, check out our guide to all Andersen Series Windows. 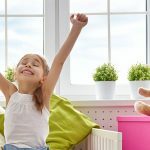 A slew of energy-efficient options for your home’s windows means you can feel good about protecting the environment — and your pocketbook. 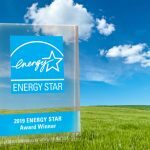 To achieve a good Energy Star rating, windows often have one, or a combination, of these features: Low-E (low-emissivity) glass, gas-filled chambers, multiple glazing options, and special coatings. When window shopping, understanding the terms used to rate the energy efficiency — R-factor, U-factor, Solar Heat Gain Coefficient (SHGC) — can be overwhelming. At Great Plains Windows and Doors, we try to simplify the process by prescribing window solutions specific to each home situation and lifestyle. U-factor, also known as thermal transmission, measures how well a window prevents heat from escaping. The lower the number, the less heat will be lost from the interiors and the better the insulation the window provides. SHGC signifies how much solar heat the window will block — the lower the number, the better the shading power. The SHGC is particularly important in a room with expansive windows, such as a great room. Those wanting to hold in heat in the winter should opt for a higher SHGC rating, while those wanting to lessen cooling needs in the summer should choose a lower rating. The Energy Star label assesses each of these factors within a particular window and includes recommendations based on your climate and location. Coupling good ratings with additional features, like a gas-filled window that insulates against heat loss by filling the space between two panes with either argon or krypton, will save energy and money. Finally, pay close attention to how your windows are installed. Even the best-rated glass will not boost the comfort level of a home if the windows are not sealed properly. Hopefully some of these tips will make the window selection process a little easier. What makes us different at Great Plains Windows and Doors? Personalized service with a focus on providing an experience we would want for our family and friends, every time.